I met Dr. Sarah Simblet via booking myself onto a tree-drawing workshop at Harcourt Arboretum. Dr. Simblet had illustrated a recently published book on trees and forests in Britain. It is titled ‘The New Sylva‘. She started the workshop by explaining to us how she had gone about selecting, drawing and capturing the essence of the tree species featured in the book’s 200+ illustrations and showed us many of the exquisite original sketches used in The New Sylva. 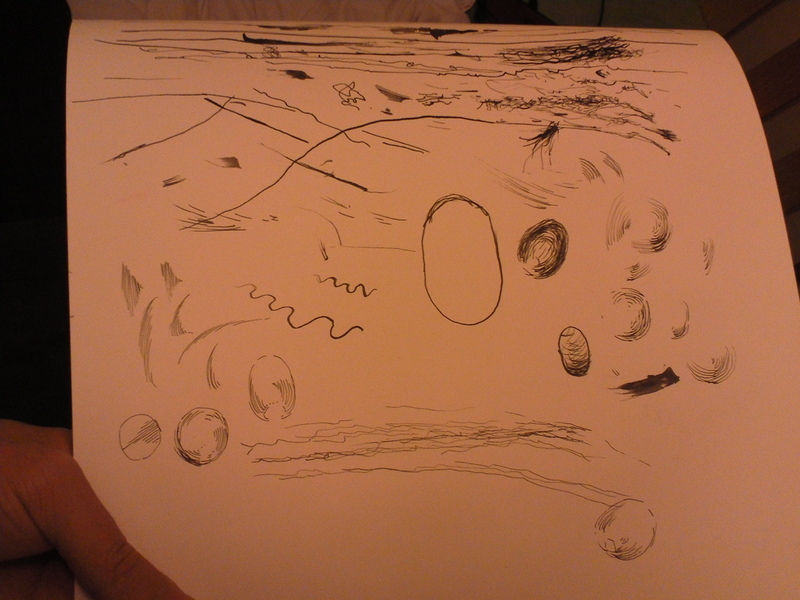 She then gave a lot of suggestions on how to approach selecting and drawing trees using pencils, dip ink pens and ink. In the afternoon I was given command of an ink dip pen and practiced with applying various pressures, speeds and hand movements to effect diverse scratchings, scribblings and marks. 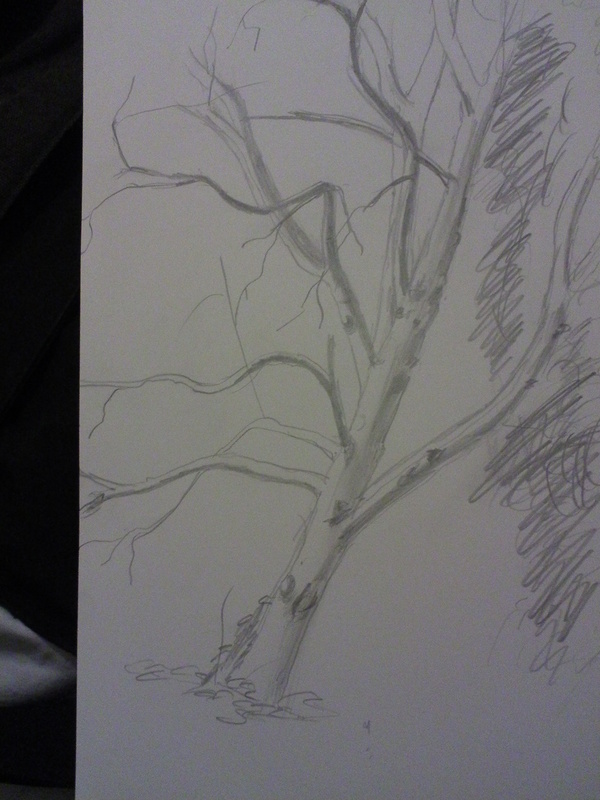 I was then let loose to roam free in the arboretum to select and sketch a tree. The first tree I selected was a birch as I fancied it to have a pleasingly balanced triangular shape. However, once the trunk was drawn, I soon found it difficult to distinguish the outline of its white branches from between the canopy, and so abandoned that endeavour. I moved into the woods where I located and sketched a beech tree with a dark and distinctive trunk slanted up against a clump of pine. At the end of the workshop I explained to Dr. Simblet about the project and she provided the montage with a dip pen nib and sent me to visit the Museum of the History of Science to see the moon portrait on display there. She advised me to meet and ask the librarian there if I could see the detailed sketches that the artist, John Russell had made in preparation for the lunar portrait.